 Lukas Hafner is a Teaching Assistant at the Geneva Academy and a PhD candidate at the Graduate Institute of International and Development Studies since 2018. His doctoral research focuses on military planning and preparations under international humanitarian law. Before joining the Geneva Academy, Lukas worked as an associate in the legal division of the International Committee of the Red Cross. His previous positions include those of consultant for the Permanent Mission of Germany to the Conference on Disarmament and Research Assistant for the Harvard Law School Program on International Law and Armed Conflict (PILAC). In addition, he has also worked with the Federal Foreign Ministry of Germany and the Stockholm International Peace Research Institute (SIPRI). Lukas holds a Master in International Law from the Graduate Institute (2017) and a Bachelor in Political Science and Law from Ludwig-Maximilians-University (2015).